What is the Urban Observatory and why should you participate? If you haven't seen the Urban Observatory, it's definitely worth exploring! This app places cities side-by-side to allow you to compare characteristic similarities and differences. The Urban Observatory creates greater understanding about a place through comparisons to cities that you're already familiar with. This understanding can be utilized for policy, tourism, science, education, demographics, philanthropy, and many other fields. Click here to view this well-designed, interactive app. The videos below share the idea behind the Urban Observatory, how easy it is to participate, as well as how your involvement can help create greater understanding for your city. I created these videos utilizing Camtasia software to record my screen, add voice-overs, and make edits. The Touch Table video was shot at a professional recording studio and I have simply added a voice-over to the b-roll. 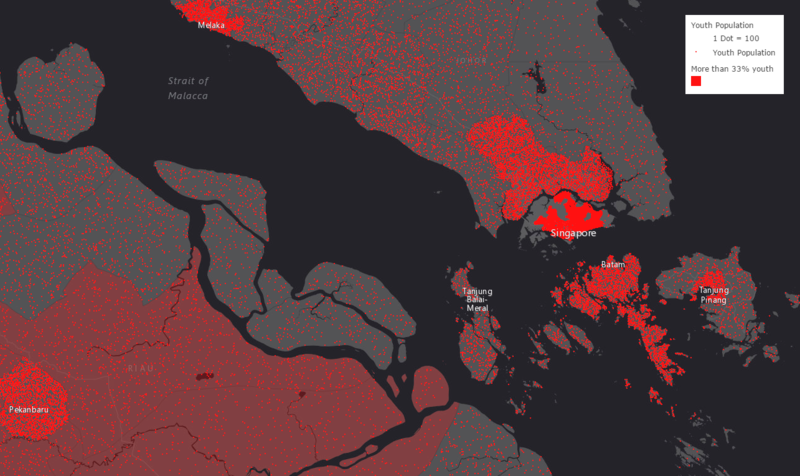 Youth, Senior, and Population Density Global Datasets Now Available! With the recent release of three global datasets, you can now view youth, senior, and population density for more than 100 countries around the world. To create this map, I utilized demographic data from numerous distributors and ran a modified version of the Urban Observatory Data Loading Tools for each theme. Click here* for the Youth Population Global Dataset. Click here* for the Senior Population Global Dataset. Click here* for the Population Density Global Dataset. *The scales available are currently from 4,000,000 to 72,000; if you do not see the service, make sure you are searching the maps within the scale extent. How many jobs are accessible by transit in your city? Featured in Esri's Maps We Love, a new Job Accessibility by Transit Story Map is now available for the 46 most populated cities in the United States. Using data provided by the University of Minnesota's Accessibility Observatory, this is the most detailed analysis of job access by transit to this date. This map displays the number of jobs that are accessible within 30 minutes by walking and transit averaged between 7 and 9 am.